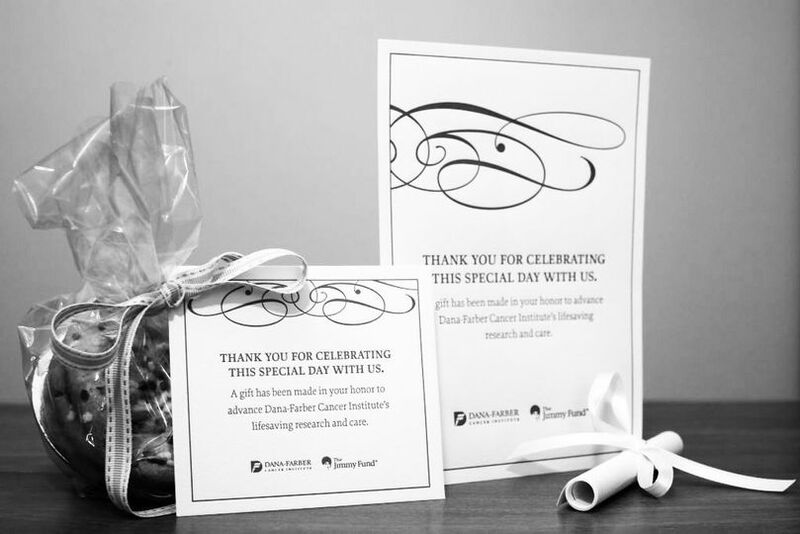 Dana-Farber Cancer Institute offers elegant wedding favors in Brookline, Massachusetts. 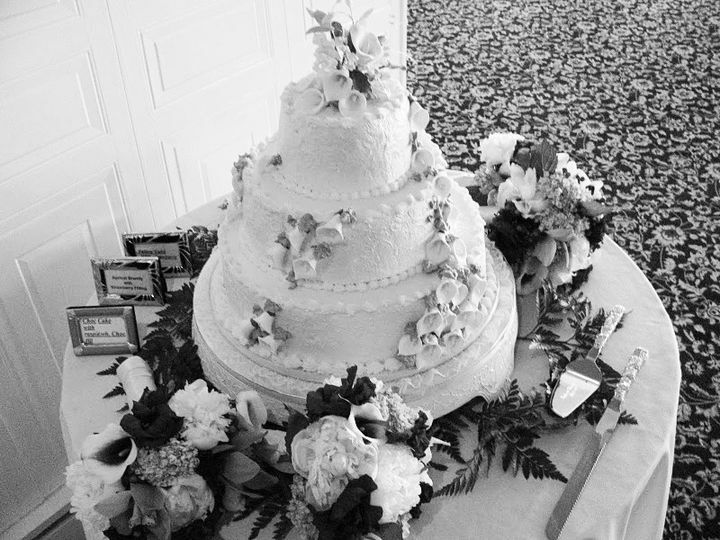 Together with the Jimmy's Fund, this passionate institute offers couples the chance to give their loved ones favors that support a great cause. You can choose from two different letter-pressed options, or create your own style. 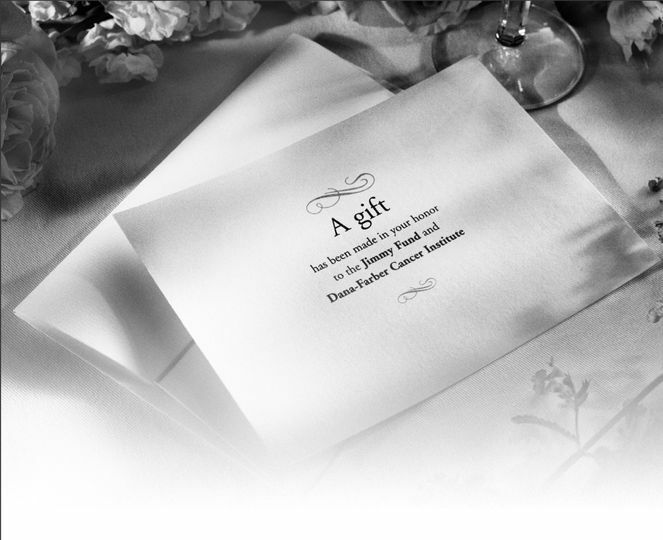 Dana-Farber Cancer Institute allows you to honor your guests, while supporting the fight against cancer at the same time. I am incredibly pleased with this entire vendor experience! I worked with Kelsey and she was very responsive and helpful until the very end!